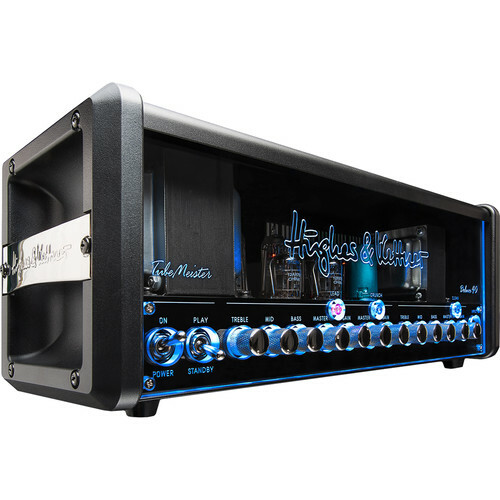 The Hughes & Kettner TubeMeister Deluxe 40 is a 40W tube amplifier head designed to provide versatile tones, selectable power output, and MIDI control for guitarists in rehearsals, recording sessions, and live performances. 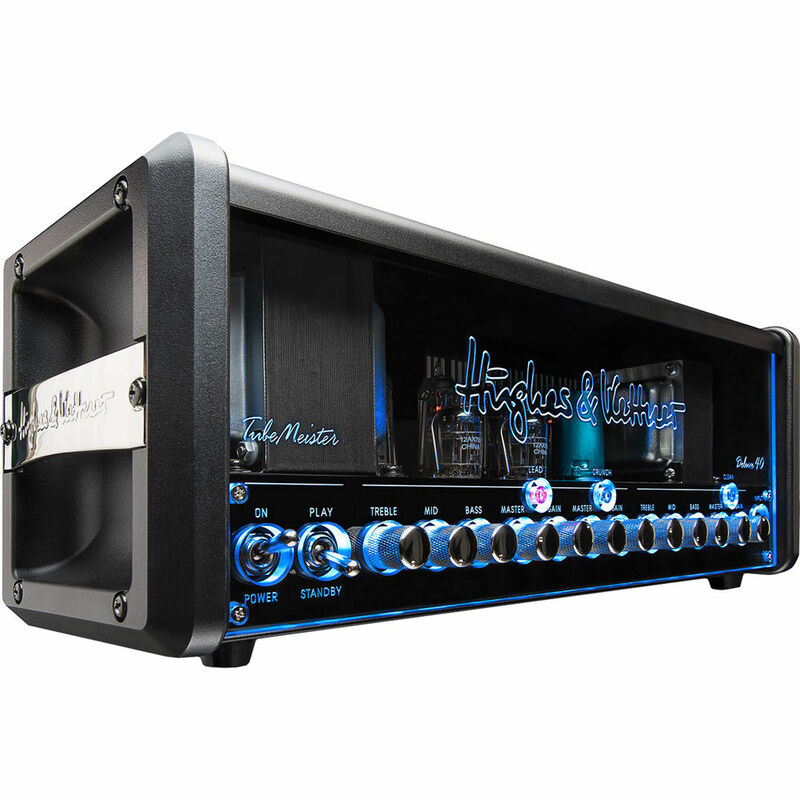 It features three 12AX7 preamp tubes and four EL84 power tubes capable of driving an 8 to 16 Ohms speaker cabinet via a 1/4" speaker output. Utilize the front-panel buttons or a footswitch (available separately) to toggle between the clean, crunch, and lead channels. Power output is selectable thanks to a power soak switch with five positions—40W, 20W, 5W, 1W, and speaker off. Use the treble, mid, and bass equalization controls to sculpt your sound independently for the clean and lead channels. Integrate stompboxes via the switchable 1/4" series effects loop. An XLR 3-pin output delivers a balanced DI output for direct connection to a mixing console or audio interface. Red Box AE (ambience emulation) brings configurable cabinet emulation with choices including vintage, modern, small, large, line, and mic. Integrated TSC (Tube Safety Control) keeps the tubes biased properly and shows tube status via two rear-panel LEDs. Incorporate MIDI control of channel switching and more via the MIDI 7-pin input. For increased protection during transport and storage, the TubeMeister Deluxe 40 is supplied with a protective carry bag.